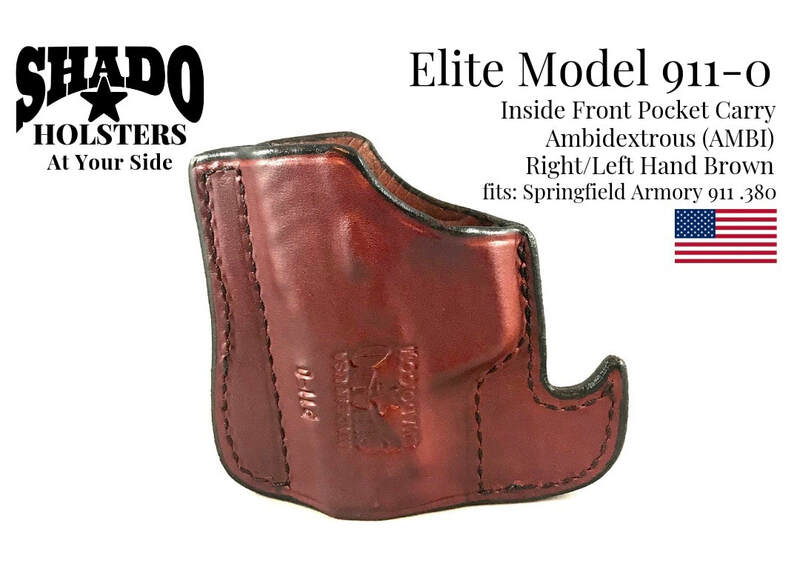 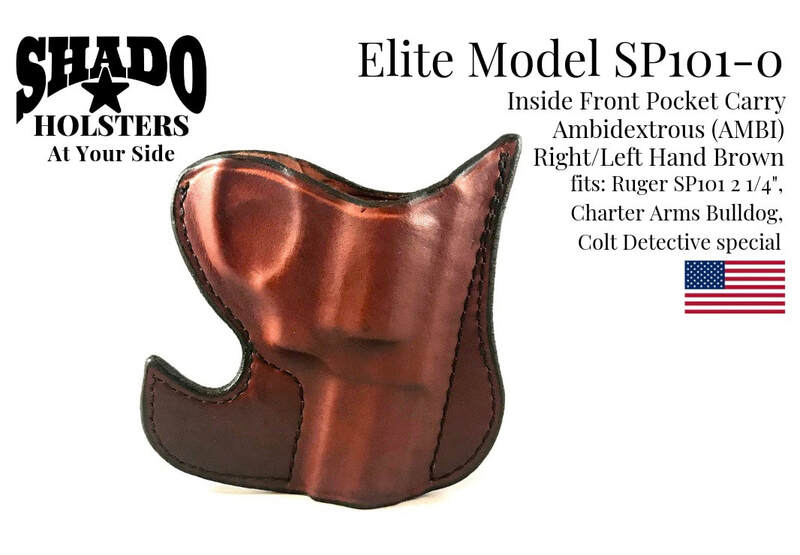 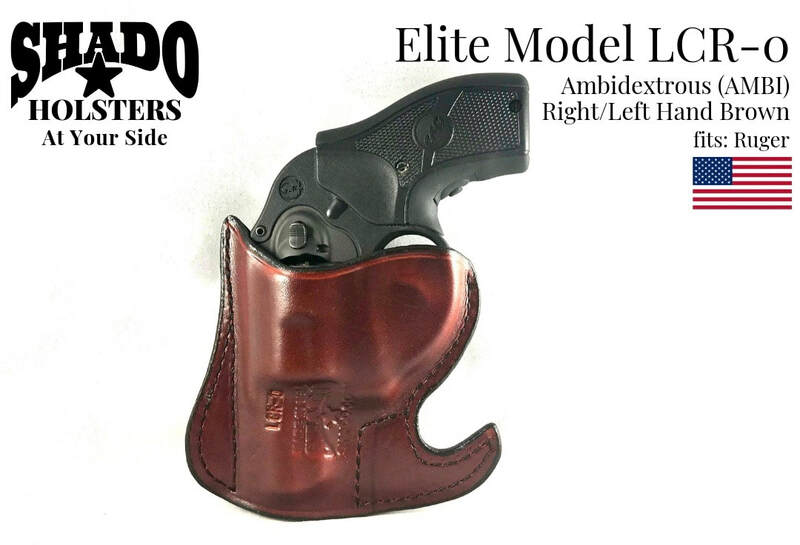 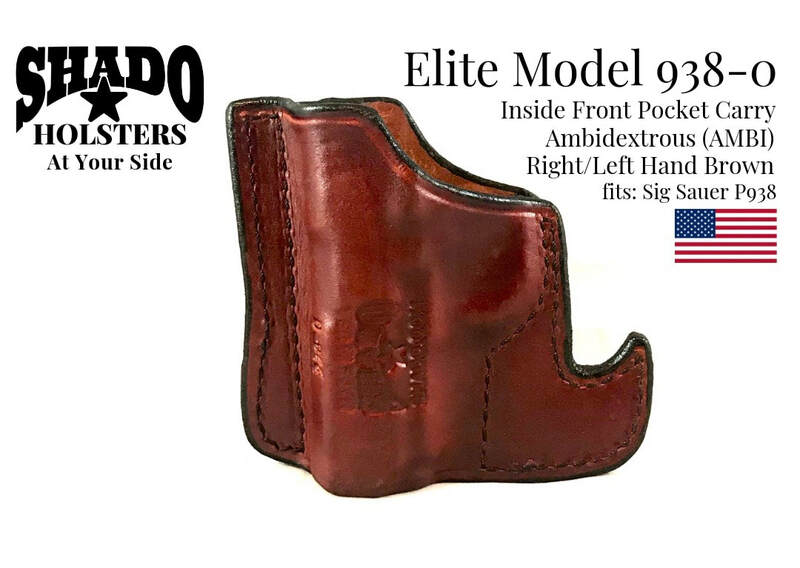 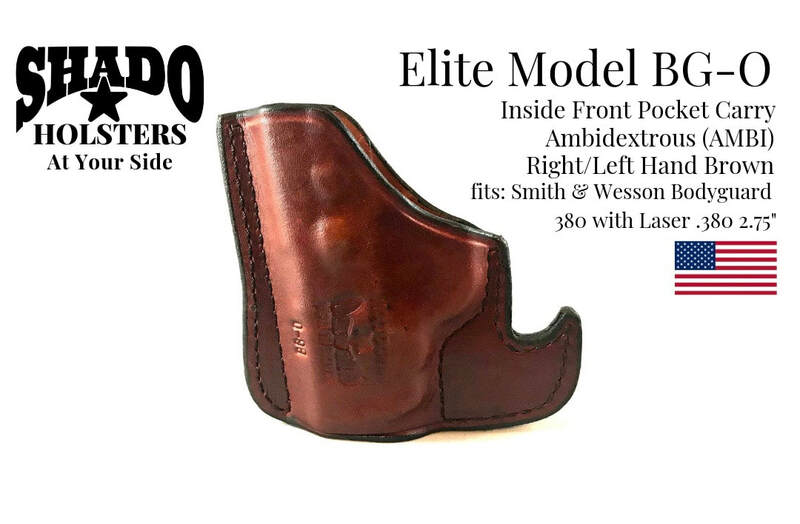 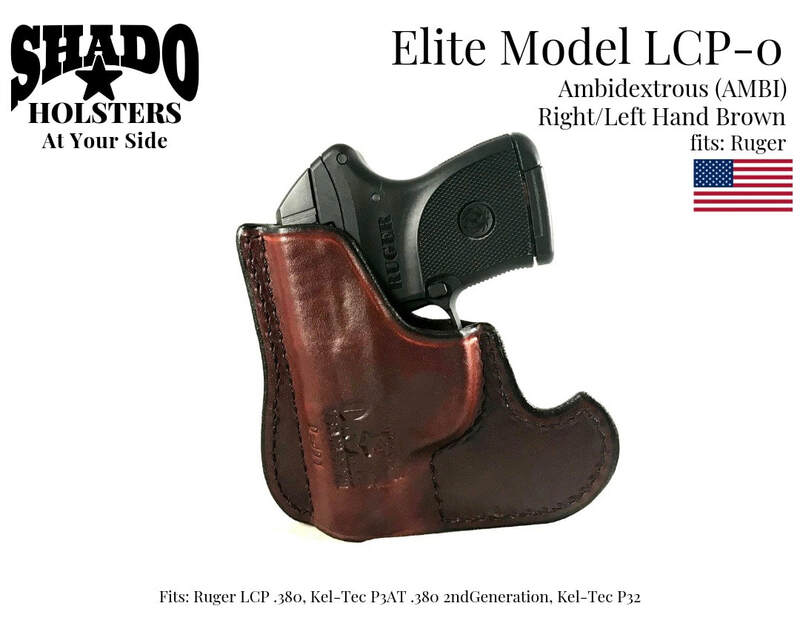 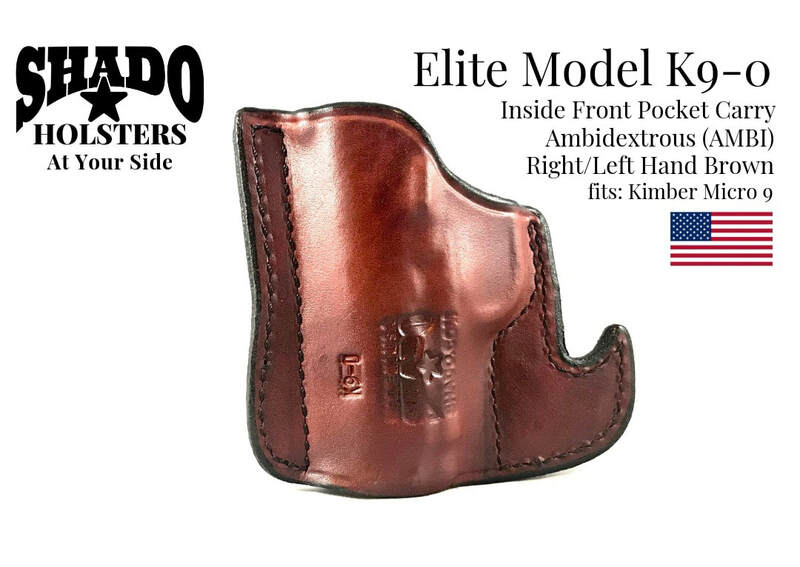 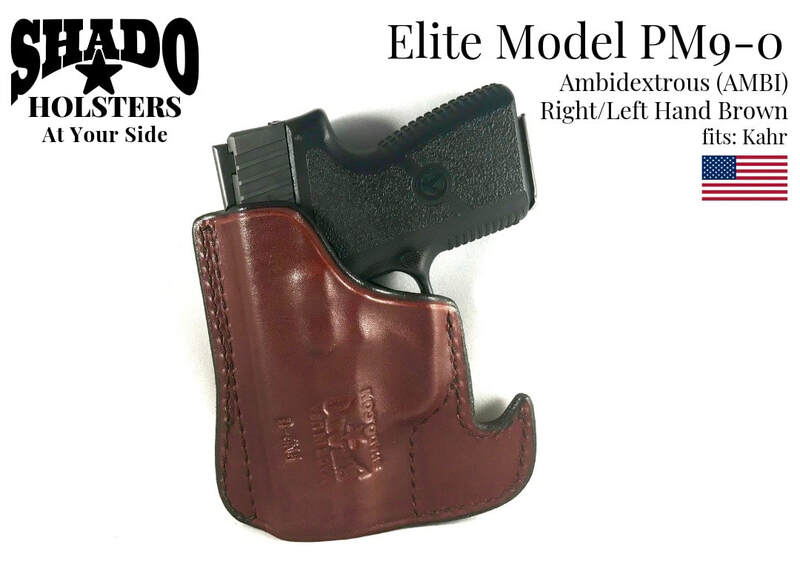 The SHADO Ambidextrous (AMBI) holster fits inside the pocket carry holster conceals the shape of your gun so the outline does not show through. 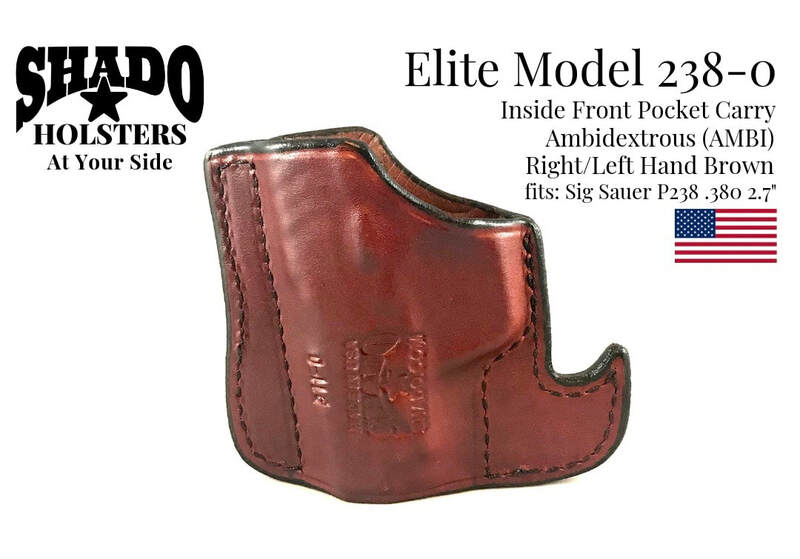 The hook shape is designed to catch on a pocket corner during the draw, keeping the holster in the pocket. 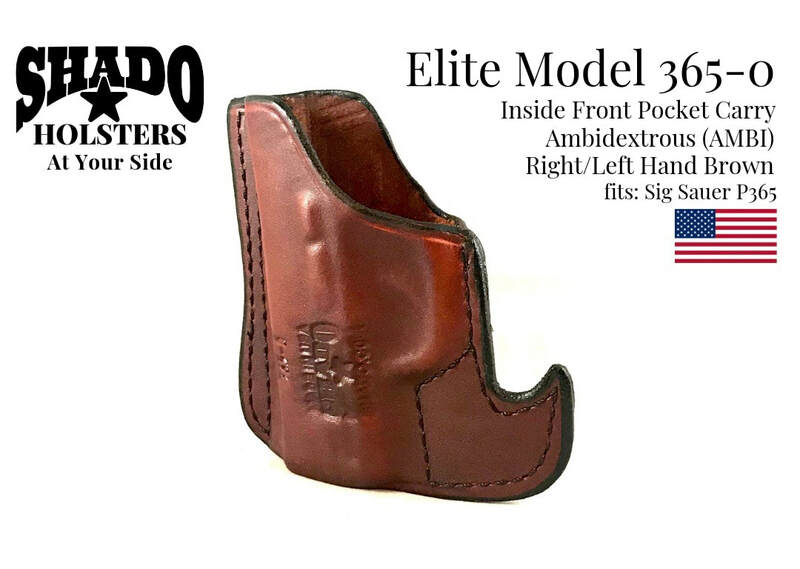 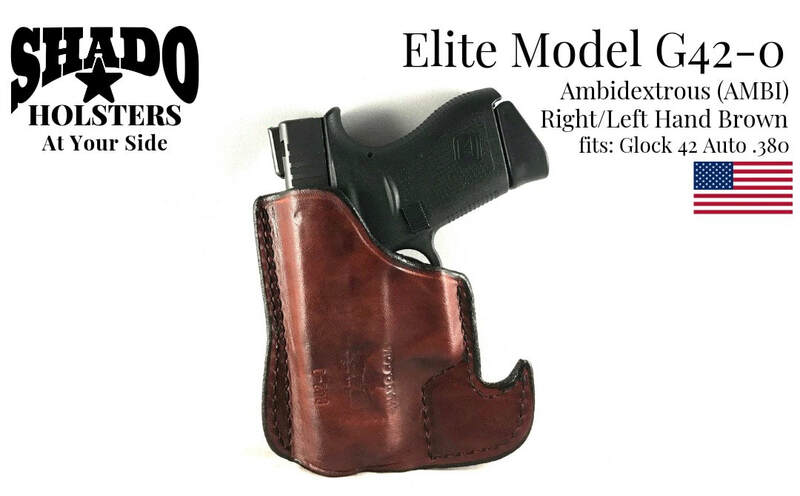 It is for front pocket carry in pants or jacket and keeps the firearm in the same general position that allows fast and easy single motion one hand draw. 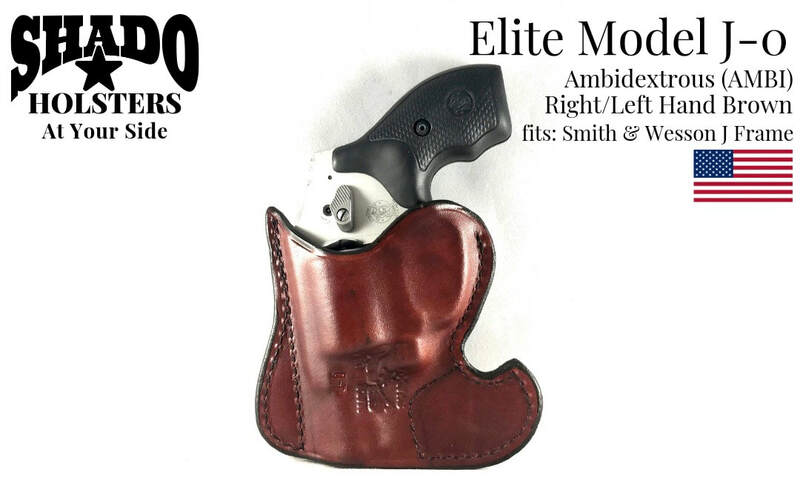 Sig Sauer P238 .380 2.7"
Smith & Wesson Bodyguard 380 with Laser .380 2.75"